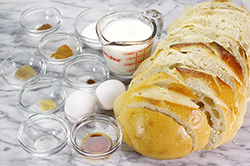 Stale bread in the cupboard is a happy day at our house – it means French toast is about to happen! 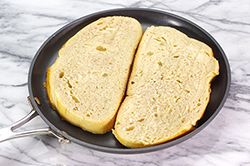 It’s not unusual to add a little cinnamon to the bread soaking mixture, but French toast is ten times better with a chai-flavored preparation. The aromas while cooking, and the flavors while eating are deeply fragrant and delicious. 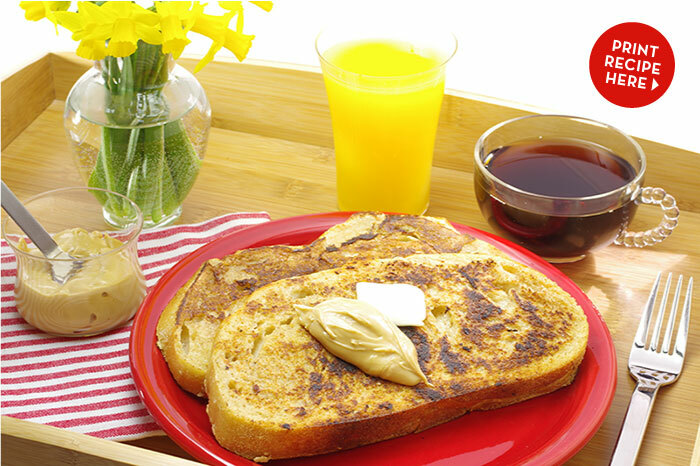 We’ve pushed this recipe over the top by serving it the toast with maple cream, the scrumptious cousin of maple syrup. You can most likely find maple cream, but if not, with a little patience, you can make your own; it’s totally worth it! 1. In a large bowl, combine the spices (cinnamon, cardamom, allspice, ginger, cloves, and salt) with the sugar and stir until evenly combined and without any clumps. 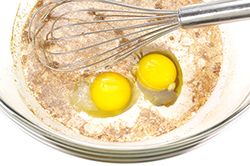 Add the milk, eggs, and vanilla and whisk. 2. 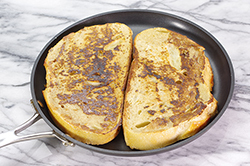 Preheat a nonstick griddle on the stovetop over medium heat. Lightly oil the griddle, if desired. 1. Prepare an ice bath by filling halfway a pan or heat-safe bowl that matches your saucepan. 2. 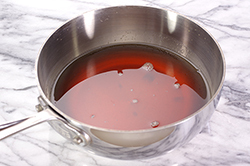 In a 2- or 3-quart saucepan outfitted with a candy thermometer, bring the syrup (with the salt and oil added) to a boil and allow to cook undisturbed until the syrup reaches 235°F but not a smidgen longer. The syrup will be reduced by about half. Transfer the saucepan to the ice bath ensuring that no water sneaks into the reduced syrup. 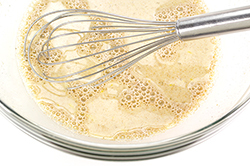 Leave undisturbed as it cools to 70-75°F; do not stir. 3. 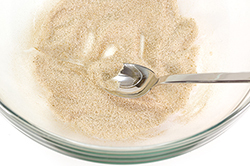 Stir the cooled syrup to allow a crystallization process to take place. 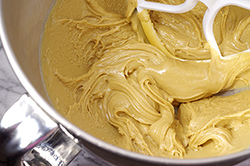 The maple cream will become lighter in color, opaque, and stiffer in character, yet very spreadable. (We used our stand mixer on lowest speed with the paddle blade. The transformation process took about 20-25 minutes.) Do not stir too much or allow to become grainy, just nicely thick and creamy. Transfer to a clean, lidded jar and refrigerate for up to two weeks.